During the Cold War, after Chiang Kai-Shek government exiled to Taiwan in 1949, there was a kind of people called “anti-communism upright hero”: meaning people of loyalty and righteousness, who came across the Strait from China to Taiwan to join the “great national recovery” in “retaking the Mainland.” In the period of Chiang’s military government ruling and under martial laws, those anti-communist defectors were regarded as heroes in political propaganda. 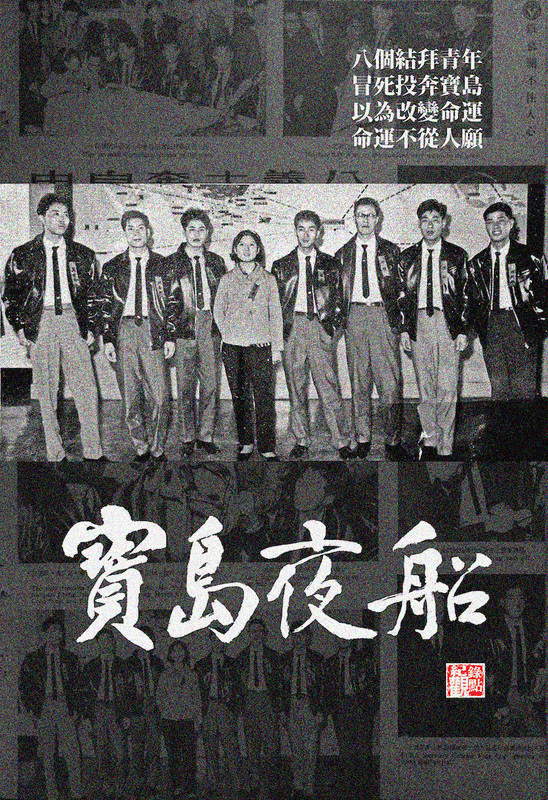 In 1965, our leading role in this film, Chen Sung, with his seven companions in a boat, managed to smuggle into Taiwan, and became so-called “anti-communism upright heroes.” Next year, nevertheless, he was charged with “rebellion crime” and sentenced to 6-year imprisonment by Chiang’s regime. As the Cold War ended, although Taiwan and China do not recognize mutually in politics, the civil exchange of the two societies has been quite active for the past two decades. The story in the film presents one of the unknown stories during those harsh years of contact-severing between the two lands across the Taiwan Strait.